Located in southwestern Ontario, Guelph is a city with over 120,000 residents. Consistently rated as one of the best cities to live in Canada, many thousands of new immigrants settle in Guelph on an annual basis. The leading sector within the city is manufacturing, but Guelph has a diverse economy, which has helped protect the city during countrywide recessions. Life sciences, agri-food, and biotechnology are thriving industries in Guelph, a town with rural roots and a growing economy. For those looking to make Guelph their home in the coming years, immigration lawyer Matthew Jeffery is a leading advocate. 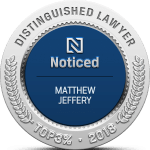 As one of the most experienced immigration law experts serving clients across Guelph, Matthew Jeffery has developed a reputation for achieving results within his work. Clients depend on him for his understanding of complex immigration law areas, and his ability to navigate the immigration process to ensure success in individual cases. Guelph clients are searching for a specialist who have a diverse experience base. They require assistance from a specialist who can answer their questions based on years of work with clients throughout the region. That’s the reason so many local area Guelph residents select Matthew Jeffery as their immigration lawyer. Mr. Jeffery holds a law degree from Osgoode Hall Law School and is certified by the Law Society of Upper Canada as an immigration specialist. He harnesses his education as well as his 15 years of direct client experience to ensure that each of his clients achieves their immigration objectives. Whether they’re hoping to immigrate to Canada under the Canadian Experience Class visa, or they are a Canadian citizen and wish to sponsor their spouse to live and work in Canada, Matthew Jeffery can help ensure the optimal result within their immigration process. For young students entering Canada for the first time or visiting family in Guelph, achieving a degree at Guelph University can help ensure success in their future career. First, they must apply for a student visa through Immigration Canada. Matthew Jeffery has exceptional experience in this area. 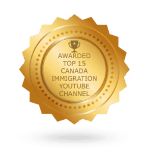 His trusted team of immigration experts can help foreign students complete and file the required paperwork with Immigration Canada to ensure they’re able to study in the country. Matthew Jeffery and his staff can help guide the student through the process and answer any questions along the way, based on his many years of past experience filing successful student visa applications. Matthew Jeffery is also a leading immigration lawyer in Guelph for foreign nationals appealing their immigration status in the Canadian court system. 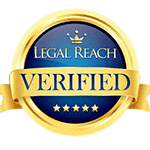 He can help guide the appeal process and ensure clients are completing the required paperwork according to strict government standards, thereby helping to assure a swift and successful conclusion to their appeal. It’s a service that has helped thousands build a successful life in Canada. To learn more on Matthew Jeffery and his immigration expertise, contact his offices directly today!